I have been on the hunt for Essie’s Lights from their Poppi-Razzi collection for a month now. My mom actually found it in a rural municipality outside my city and she knows how much I wanted it so she picked it up for me. 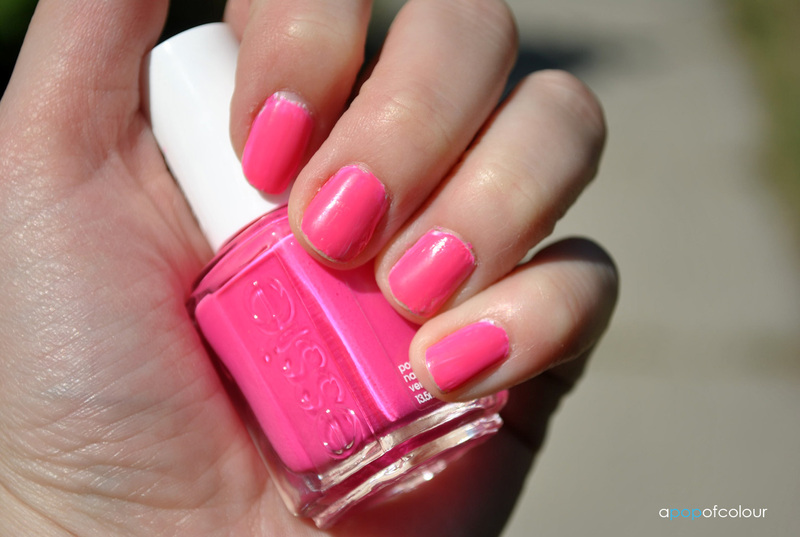 Essie’s Poppi-Razzi collection is made up of four neons colours that you are supposed to layer over a white base. I don’t have Essie’s Blanc, so instead I used Orly Dayglow, which has honestly been my go-to polish since I got it (white nail polishes are seriously super handy). For a neon collection, I don’t find this shade very bright at all. Don’t get me wrong, it’s very pretty, but it’s no China Glaze Pink Voltage, that’s for sure. 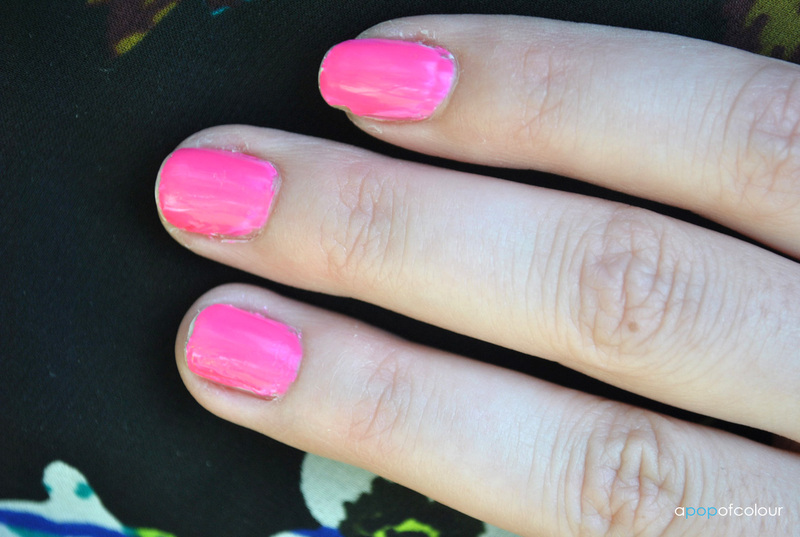 I don’t have a similar pink and for those wondering, this is quite different than Essie’s Off the Shoulder, which I also have. I do like this colour, but I wish it was more shocking like a true neon. As for application, I used Seche Vite base coat, a layer of Orly Dayglow, two coats of Essie’s Lights, and then Poshe top coat. I did wear this to a pool party so it did have some minimal chipping by nights end. 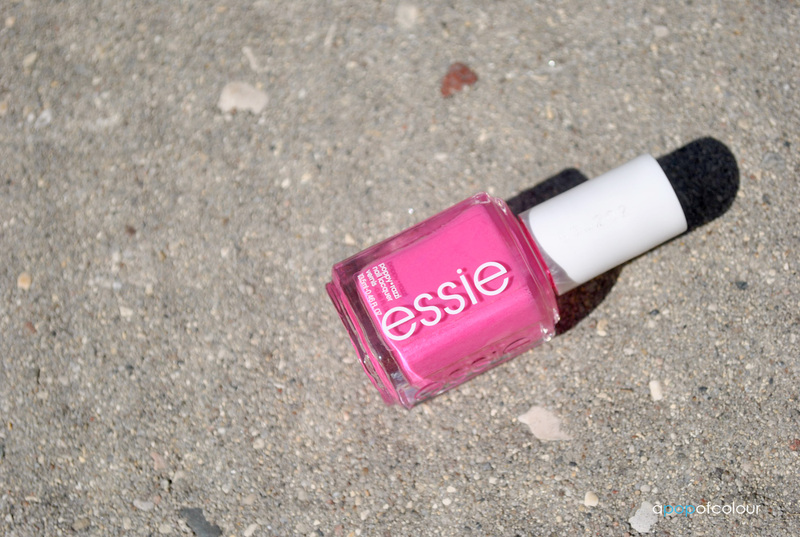 Have you tried Essie’s Lights? If so, what were your thoughts?